BlackBerry's fate remains up in the air, but that uncertainty hasn't slowed the company from improving on its mobile operating system. 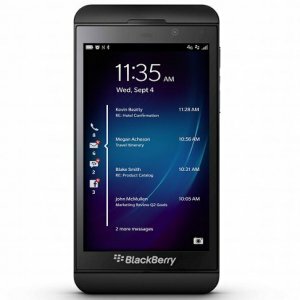 The latest significant software update is shipping alongside the BlackBerry Z30 and includes a host of new features that help flesh BlackBerry 10 into a more mature and capable OS. 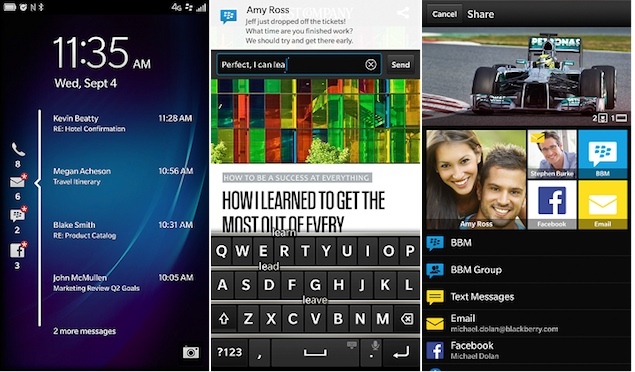 CrackBerry has an exhaustive list of everything new you'll find in BlackBerry 10.2, which is currently rolling out to Z10, Q10, and Q5 devices (but only on select carriers). First and foremost, users are finally getting proper lock screen message previews. Before now, you could only see the number of notifications awaiting you in each app — something that wasn't very helpful when it came to managing your inbox. Now, you can tap each lock screen notification and get a preview of each alert. The company has also made it easier to keep track of important conversations and notifications. A new Priority section has been added to BlackBerry Hub. By default, it aggregates your starred conversations, messages from people who share your last name, and any emails marked as important, but you're given full control over just what appears in this section. Similarly, sharing is now faster in BlackBerry 10.2. The OS learns who (and which apps) you share with most often, bringing those to the top of the share menu to cut down on needless taps. UAE survey to see if your mobile is more dangerous than microwave?